Mirror for the fountain is a transmedia story of gentrification on Aynalı Çesme Caddesi, a street in central Istanbul that is undergoing serious changes. Aynalı Çesme means mirrored fountain, and the project attempts to hold up a mirror to the current rationale of urban development in Turkey by detailing the history and interior life of a single building. A documentary film and multi-media website are the primary outputs of the project. 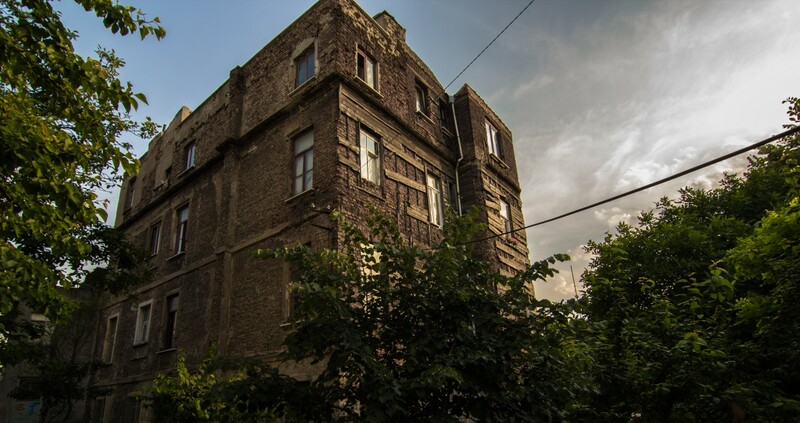 Ingiliz Apartment is a beautiful but dilapidated building that has served as both a British police station and outdoor cinema in the course of its 130-year history. We set out to revive the outdoor cinema for a single night, asking residents, former residents, and neighborhood familiars to share with us their stories of the building and the street from the past half-century, and inviting all to join us in screening the series of vignettes that emerge. These vignettes join photos and brief articles on each of the participants on the web site for the project, which exists in both Turkish and English forms. The documentary film also includes some of these personal stories and the reactions to them at the screening as one of its three interwoven threads. A research-based thread overlaps with memories of the long-term residents of the building and the street. Aynalı Çesme has undergone repeated changes, loosing most of its buildings in a major fire in 1870, seeing the fountain after which it was named removed in 1942, and taking on an entirely new shape with the construction of Tarlabası Caddessi, a major thoroughfare, in the 1980s. Previous physical changes and various waves of immigration and exodus that occurred provide a background for the present situation. In addition to interviews with architectural historians, archival photographs and short animated sequences illustrating the (d)evolution of the neighborhood provide visuals for the film, while documents, photos, and fuller videos of specialist discussions on the building and area find home on the web site. The third thread concerns the current process of urban renewal. The building’s owner has hired an architect to prepare a restoration plan, and we follow the residents, some of whom have been there for 40 years, as they cope with the likely loss of their homes. The eight apartments of the building house three families, an elderly couple, some young artists, and the filmmaker himself—the lone foreigner in the building. Other buildings undergoing similar projects on the street provide a backdrop to the more intimate portraits obtained from observing the residents and the architect as they negotiate the changes to come. Though the outline and documentation for this thread find home on the web site, the detail of this story is told in the film.